Norwich City sealed their place in the 4th round of the FA cup for only the 3rd time in 15 seasons, beating Championship side Burnley 4-1 in an eventful game. It only took 12 minutes for Norwich to go 2-0 up thanks to strike duo Grant Holt and Simeon Jackson. After reserve keeper Declan Rudd made two good saves, Hoolahan crossed the ball to be met by the head of Grant Holt who smashed the ball into the net. Adam Drury set up the second goal after a superb overlap and cross was met brilliantly by Jackson who nodded it in from the near post. However, the lead was halved when the young Jay Rodriguez looped a header from a free-kick into the far corner. Norwich piled on the pressure and were awarded with a penalty when Andrew Croft’s cross hit Charlie Austin on the arm, giving the referee no choice but to award a penalty. Holt stepped up to take the penalty having never missed since joining for Norwich…but he managed to smash the ball wide of the left post. Second half and after Burnley had played quite well throughout the game, Holt hit the inside of the post from 6 yards out, the rebound fell to Jackson who poked the ball wide. With 20 minutes remaining Holt and Jackson were replaced by Wilbraham and Morison. They paired up brilliantly to make it 4-1 when Wilbraham’s shot was saved and Morison was there for an easy 8th goal of the season. Despite Burnley’s best efforts, the win was in the bag for the Canaries. 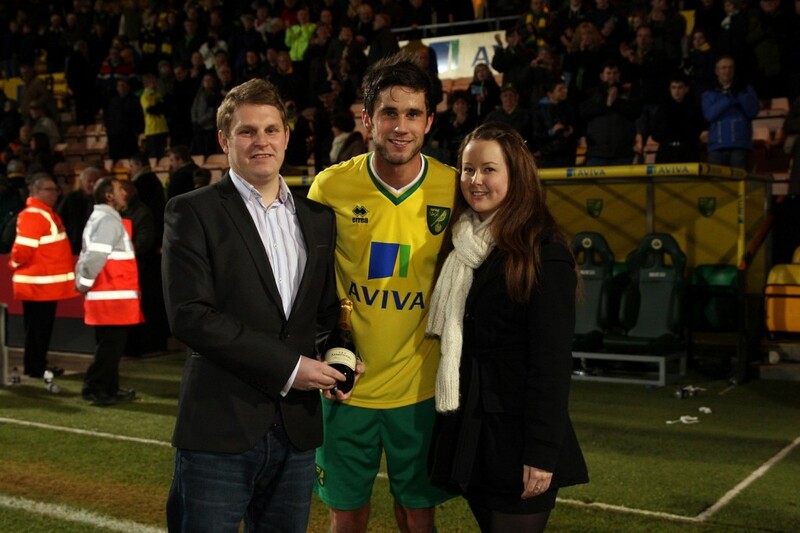 The Anglian Home Improvements Man of the Match was Andrew Surman.